132900-A is rated 5.0 out of 5 by 3. 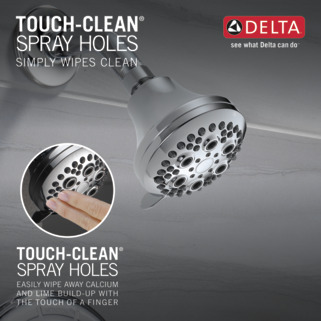 While other products may gather unsightly mineral build-up over time, Delta soft rubber Touch-Clean® spray holes allow any mineral residue to simply be wiped away for an instantly refreshed look – with no need for soaking or the aid of chemical cleaners. The pause setting gives you ample space for shaving, lathering and other shower tasks, then easily restarts the water with the temperature where you left off. This spray setting helps you conserve water, so you can worry less about depleting your supply of hot water - and you help the environment too. Delta WaterSense labeled faucets, showers and toilets use at least 20% less water than the industry standard—saving you money without compromising performance. 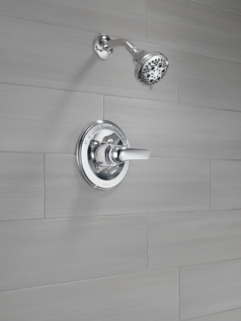 *Coverage measured in accordance with EPA WaterSense® Specification for shower heads, March 4, 2010. Rated 5 out of 5 by Brenda from Great Faucet I love the Delta Faucets. They are so easy to install and really work well. 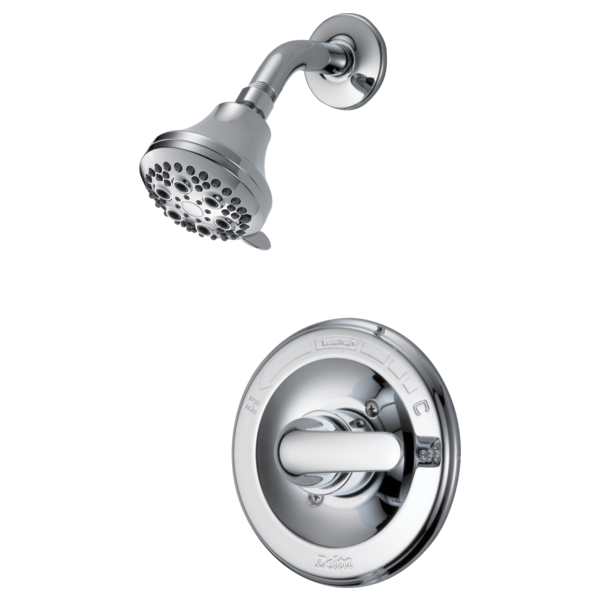 Rated 5 out of 5 by Seg8 from Great features I have it installed for almost 2 weeks haven’t use it yet but I just turn on the handle and test to see how the water came out the shower head and also test the Hot and Cold but I will try to take a shower in the future and will write again on this model. 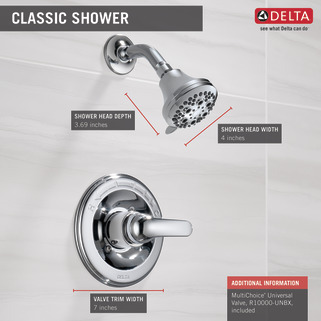 Rated 5 out of 5 by Orlando from Great Simple to Install feature Great shower faucet easy to install and cartridge replacements are Cheap and long lasting Faucets! 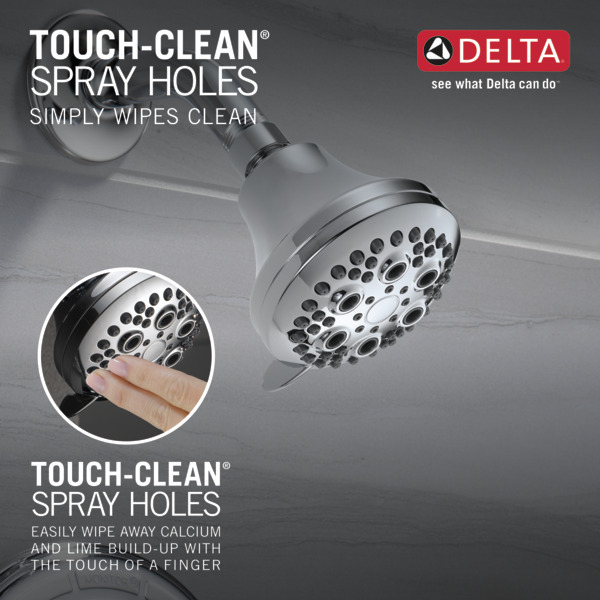 What size hole should I drill in my Delta Classic 400 shower for the Delta 132900-A water valve?